Vakkaru Maldives is a brand new luxury resort located within the crystal clear waters of the UNESCO Biosphere Reserve in Baa Atoll. Vakkaru is a lovely island combined with a real Maldivian atmosphere and offers many high-end options in a comfy ambiance. Vakkaru opened in December 2017 to cater to guests from around the globe with personalised service and authentic experiences. 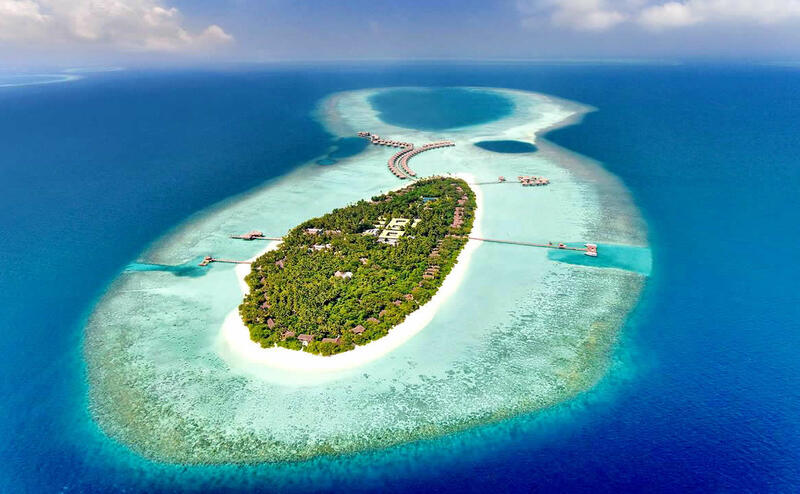 Surrounded by lush, vegetation, beautiful beach and stunning lagoon, the 5-star resort offers an extensive selection of luxury accommodation, with 125 beach and overwater villas and suites catering for couples and families alike, all come with butler service. A great choice of indulgent dining choices allow guests to enjoy flavours from Europe to Asia in four restaurants and two bars, all offering a delicious culinary experience and an amazing, talented, professional team of friendly staff. 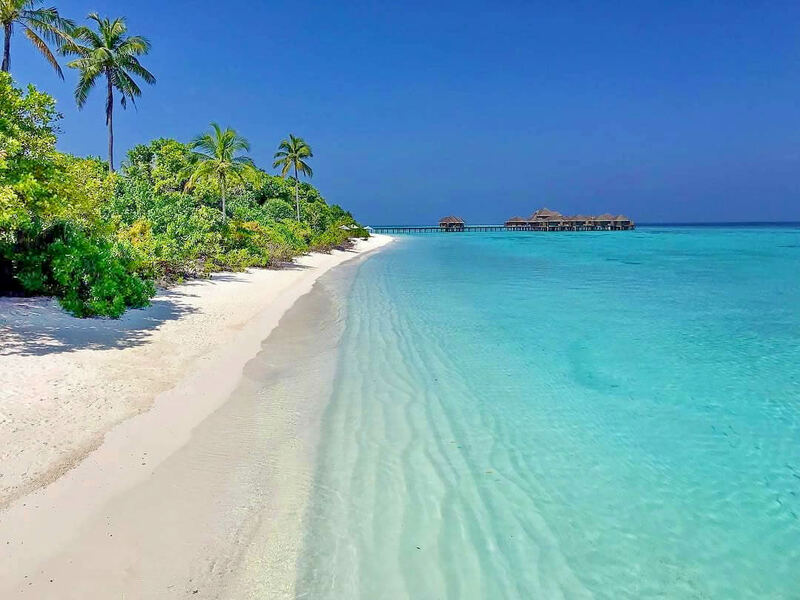 With an array of energetic or relaxing indulgent activities in and around this Maldives resort, it’s an ideal place for both couples (romantic and idyllic with an adult-only area ) and as well families (kids club, family villas beach & overwater and nanny service). 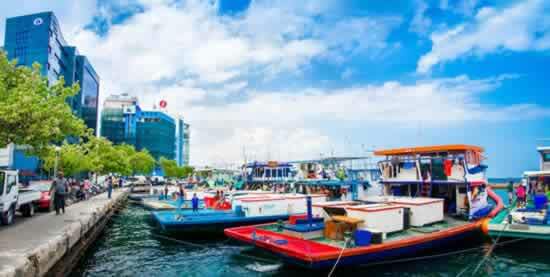 The island, with its pearl shores and ambundant marine life is just a 25-minute seaplane ride from Malé Airport. Your happy holiday begins at once upon arrival at the Malé airport (VIA). The resort's representatives are very friendly and helpful. Vakkaru's lounge at TMA seaplane terminal is lovely, very comfortable, clean, nice selection of beverages and snacks and extremely friendly staff. This really sets the tone for the resort and an excellent way to start your holiday. The elegantly design of the lounge is made in the same style as the whole hotel and Vakkaru has its own vehicle to pick up their guests to the lounge that's about 5 min away from Velana international airport. Overlooking the seaplane marina on turquoise colors, waiting for your scenic seaplane trip you can grab the array of complimentary treats on offer including a delectable pastries, fruits and nuts, Wi-Fi and had some espresso to go. The lounge is such a treat after a tiring international flight. After a short wait (seaplane transfer to the resort occurs as soon as possible ) expect a 25-minute flight to Vakkaru. Preferring to keep the natural beauty of the island as unspoilt as possible, this independently operated resort is remarkably elegant and understated. 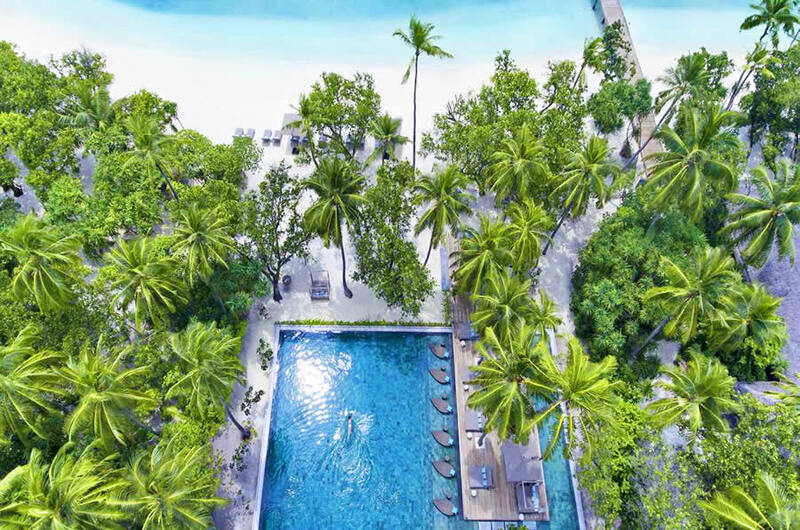 The resort is boasting with thick vegetations and 1,400 mature coconut trees (a jungle feel), and good to know that the island was bought years back and has grown vegetation before they started building up the the resort. The extraordinarily stunning island was originally a coconut plantation and they haven’t destroyed its natural beauty. So if you want a really natural, green island, you won't be disappointed. The resort has been beautifully laid out with an incredible attention to detail which is apparent at every turn. The clean island is quite big so you can use you bike or their golf cars to move from side to side. The provided bicycles are handy to get to and from your villas. The palm-lined sandy paths on the island are delightfully shady on which to walk or cycle, whilst the long jetty to the over-water villas sometimes are felling a little unnerving on the bikes as you negotiated the buggies, pedestrians and other cyclists. 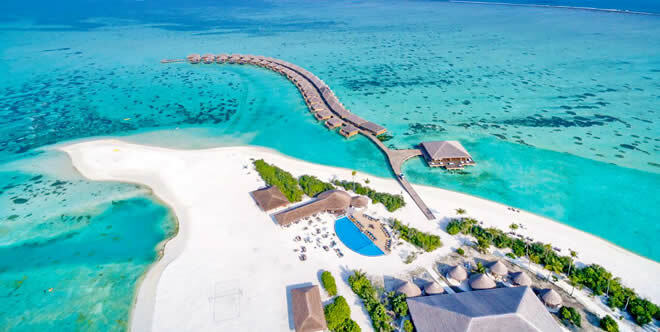 With beautiful earth tones, minimalistic interior, wide spaces and warm and cosy ambience, Vakkaru Maldives is a nature lover's heaven, surrounded by unspoiled aquamarine waters abundant with an impressive house reef teeming with exotic sea life. Oriented from west to east, the island has 3 blue holes nearby, rich in marine life and great for snorkeling and diving. 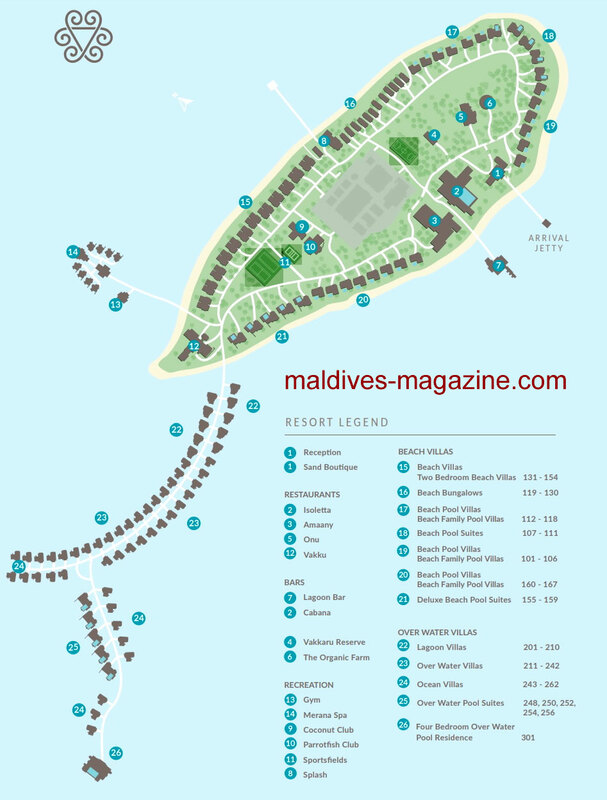 One that is very near to the water villas, within 20-30 meters away. Drawing on the rich traditions of the locale, design elements are focused on traditional Maldivian style and fused with the finest natural elements. The result is the creation of amazing spaces for guests to connect with each other and the environment around them. 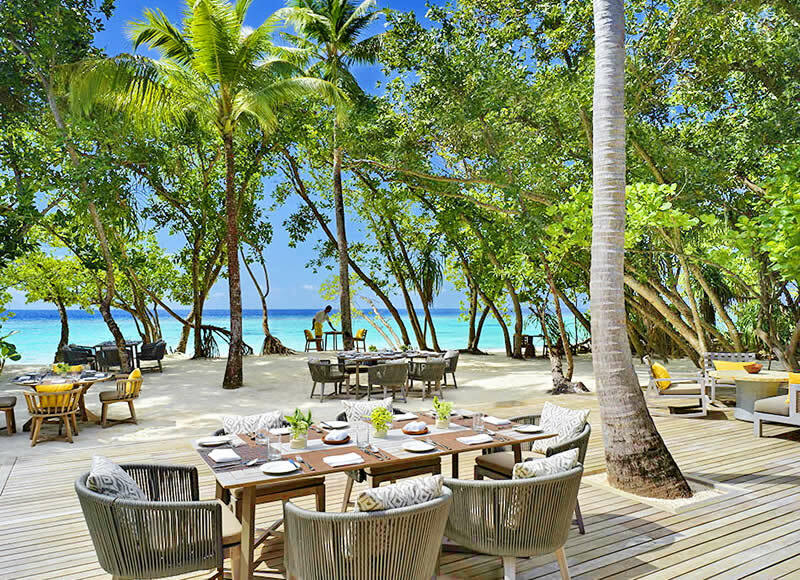 Vakkaru is proud in their quest to fashion an idyllic, sustainable environment of pared-back luxury under the endless emeralds and azures of the Maldives. Fashionable design elements, impressive jungle feel to the gardens and vegetation, apothecary organic bathroom amenities, intelligent guest room connectivity and an array of recreational activities await travellers seeking an intimate getaway in arguably one of the most desirable island destinations on the planet. With lush green foliage and panoramic views, the island is really breathtaking, however, all that pales in comparison to the staff. After a few days stay you will seem to be part of a big family were you are always the star. You are always welcomed and assisted by the Vakkaru Team in any place you are, and you are always treated like a royality. The guest are a mix of Arabs, Chinese, Russian, Europeans. You'll like to be in a international crowd with a perfect vibe without the problems being among other customs might arise, having no one prevailing. Baa Atoll is one of the most unique Atolls in the world and is declared as a UNESCO Biosphere Reserve. The Atoll is known for its rare biodiversity in its coral reefs, birds and marine life. The biggest attraction of the Atoll is its Mantas which can be seen in huge numbers during the season. Baa Atoll is also the home of Hanifaru Bay, the world famous Manta spot. 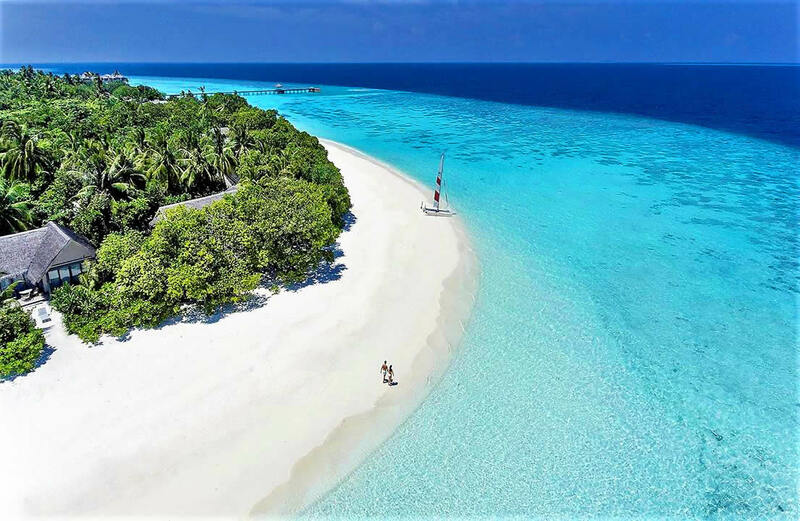 Located in the heart of Baa atoll, Vakkaru Maldives is accessible by a scenic 25-minute seaplane flight from the Velana International Airport, Malé. As seaplanes fly in daylight hours only, if you are arriving in the evening or simply prefer, you may choose a domestic flight to the local airport in Baa Atoll (Dharavandhoo), a journey of 20 minutes followed by a 30-minute speedboat ride to the island. Please provide the hotel with your international flight arrival and departure details at least 72 hours in advance to ensure your journey to Vakkaru Maldives is booked for you. 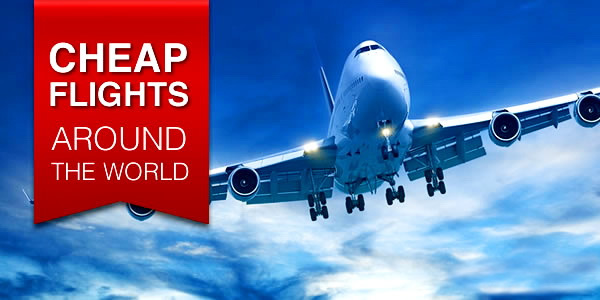 Departing guests will be transfered to the airport in daylight hours at least three hours prior to international flight time. Vakkaru offers a wonderful choice of ten accommodation styles to suit all luxury travellers from Beach Bungalows to Beach Family Pool Villas and Beach Pool Suites, Over Water Villas to Over Water Pool Suites and a four-bedroom Over Water Pool Residence, all with a contemporary Maldivian twist. 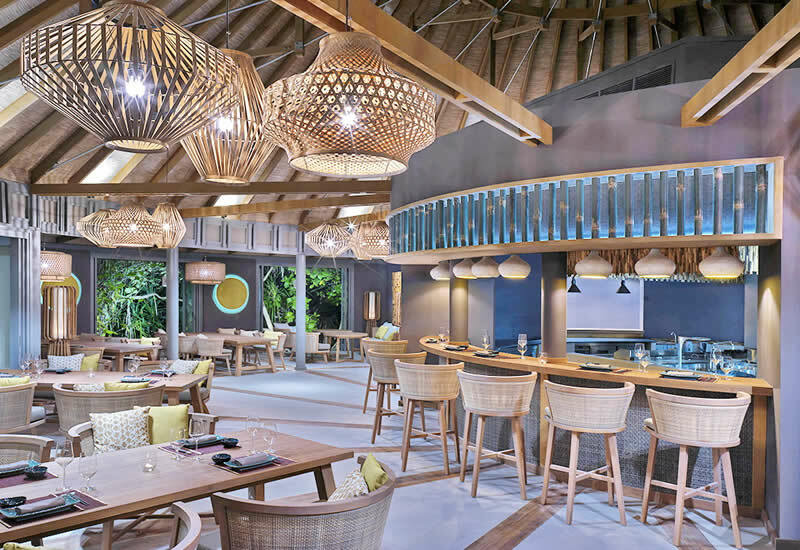 Drawing on the rich traditions of the locale, design elements are focused on Maldivian style fused with the finest natural elements as the result is the creation of amazing spaces for guests to connect with each other and the environment around them. Whether you are traveling as a couple on a romantic break, or in a larger group with family and friends, Vakkaru Maldives offers a superlative choice of accommodation types, fashionable design elements, impressive room size, exquisite high thread count pure cotton bed linens, high-end bathroom amenities, intelligent guest room connectivity and an array of recreational activities await travelers. 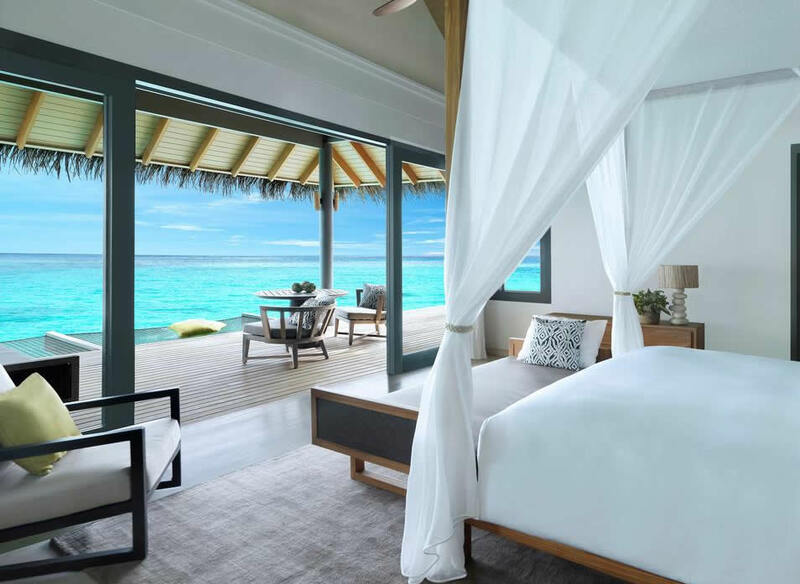 With a natural aesthetic and sense of privacy, the rooms have both indoor and outdoor showers, private terraces and sundecks, the villas have plush king size beds, direct beach access or from the overwater villas – direct access to the lagoon. Each villa has an iPad which controls everything from the lighting, air conditioning, curtains and the TV. You can lie in bed, touch and button to open your curtains or turn on your lights. Talk about taking it easy! All the resort facilities, menus are also on the iPad. Tranquil and cooled by a very welcome breeze direct from the ocean on its doorstep - Beach Villas, Bungalows and Suites are located along the entire length of the island and depending on the type they facing the north or south. Those on the south beach catch more sun. Villas and suites also vary the location of the pools. Villas and Suites also vary the location of the pools. At the villas they overlook the lagoon, while in the suites they are in the garden. Nestled between swaying coconut trees and lush foliage, Beach Bungalows (114m2) are the most affordable accommodation that's perfect for couples who want to step straight off the deck and feel the soft white sand between their toes, before plunging into the turquoise waters of the lagoon. Dotted across the expansive white, sandy beach on the northern side of the island, Beach Villas enjoy the same sophisticated design as the Beach Bungalows, offering more space for couples or families with one child. The Beach Villa's interiors are stunning, an open plan space with an oversized four-poster bed, and an iPad to control every switch in the room. The bath is a statement, circular and free-standing with two adjacent doors leading to a separate shower room. In addition to ‘his' and ‘hers' sinks, the outdoor shower and the complimentary toiletries that were topped up daily are an unexpected bonus. Bathroom amenities are from Appelles, Australia, an organic brand and in reasonable sizes, not the small versions. Stepping outside on to the deck, it's a short 5 second walk to the turquoise waters of the ocean. .
Beach Pool Villa is a perfect, so private and so spacious. A large living area which for families can be used to accommodate children. A sliding door to bedroom (complete with a four-poster bed) can be closed for privacy. A very spacious bathroom with double vanity (his and her amenity kits), large bathtub, huge indoor shower as well as a beautiful outdoor shower. Beach Family Pool Villas (250m2 ) are featuring the exclusive design characteristics of all the guest villas, including a separate sleeping area for two children and a day bed in the parents’ bedroom, the villas provide the ideal space for a family with up to three children under 12 years to relax and enjoy an idillic stay. Beach Pool Suites are also perfect with a separate living room and 32m2 private pool, with the bedroom, living room and bathroom all facing the azure waters of the lagoon. The suite is very spacious and the pool in front of the beach is great. It gives great atmosphere at night with ambient lights and sound of running water. Every villa is equiped with portable bang&olufsen speaker. Great if you want to listen music in the bathroom. But please, for every next guests, don't take it to the beach:) Sound of the ocean is enough. Cleaning service is great and every evening you have some sweets for goodnight. Upgrade to an Overwater Villa (140m2) will give you the ultimate romantic hideaway set over the turquoise lagoon. Overwater Villas are elegantly designed for two adults looking to appreciate the wonder of their aquatic surroundings. The balcony doors lead directly outside to a ladder down to the azure calm waters, and the view from the bed is exceptionally blue. The bathtub that opens to the sundeck overlooking the ocean is bliss, and right outside is a hammock (net) inviting for that perfect tanning under the sun. Elegantly decorated with state of the art switches from the curtains and doors all Water Villas provide an outdoor shower (a must!) and convenient stairs into the ocean, that’s always a major point as some resorts feature a steep ladder what is always challenging when climbing down with snorkelling gear. Even right by the villas, the seas is constantly teaming with a huge array of fish, rays and even baby black-tip sharks. Lagoon Villas differ from Beach Villas in a large space, but are located at the beginning of the jetty in consequence of which you can expect sometimes extraneous noise from a passing buggies. Picture perfect accommodation for couples and for families, Lagoon Villas feature the same exclusive design as the Overwater Villas, plus a separate relaxation/reading area or a sleeping area for two children and a day bed in the parents’ bedroom area, allowing a family with up to three children under 12 years to relax in exceptional comfort. Again the villa itself included an iPad which controlled everything from the air conditioning, to the curtains and the lighting in each of the rooms with just a touch of a button. The room service is discreet and impeccable, and it is clear that all the staff on the island take huge pride in providing extremely thoughtful and friendly service. 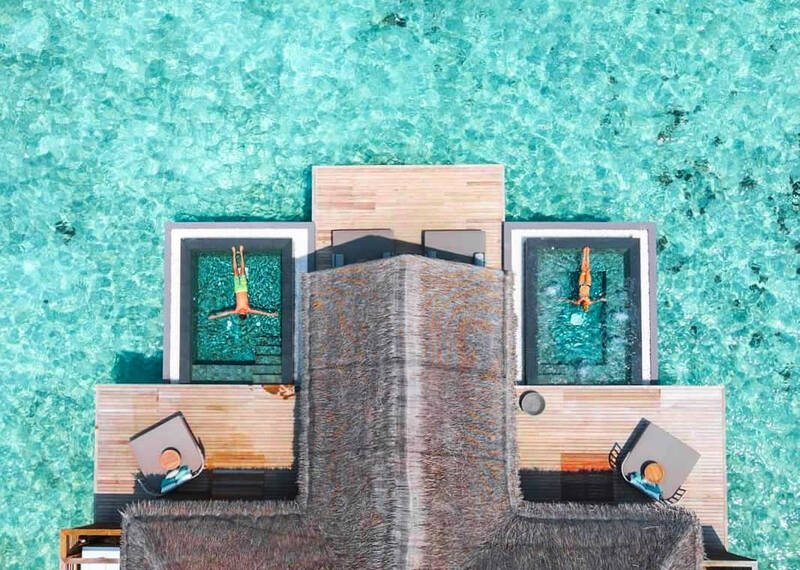 Facing the sunset, Overwater Pool Suites offer all the pared back luxury of Overwater Villas, with the addition of a 50m2 private pool, separate living room, pool, bedroom, living room and bathroom. With the largest private pool you have ever seen in the Maldives, these suites are spacious, carefully appointed with focus on small details, perfect ocean's view from every corner. The organic bath amenities are from Australia and feature a decent size of 150ml. The outdoor area is fantastic with a huge infinity pool and many options to laze around. And, pretty important, very safety wooden stairs into the ocean. Set at the far end of the jetty, Overwater Pool Suites are located close to their southern blue whole, were you will have some nice snorkelling. Schools of fish – powder blue surgeonfish, yellow-line snapper, humpback red snapper. Also many oriental sweetlips, batfish, some angelfish etc. 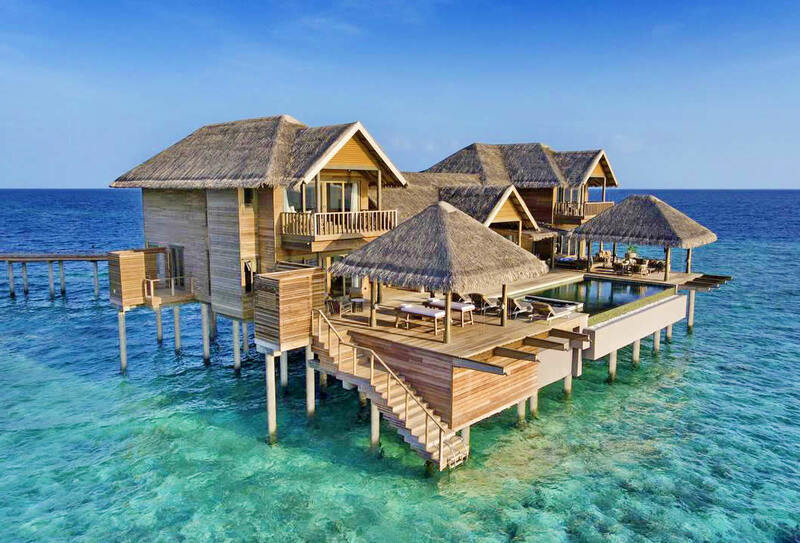 Four Bedroom Overwater Pool Residence is a magnificent two-story overwater villa is a decadent sanctuary with direct, uninterrupted views of the sunset and located at the end of the Overwater Villas to ensure total privacy. Within the UNESCO Biosphere Reserve of Baa atoll in the Maldives, Vakkaru is a reef island composed entirely of sediment produced on the surrounding coral “faru” (or reefs), 85 percent it is thought, by parrotfish, the fish grinding up coral during feeding and, after digesting the edible content, excrete the rest as sand, creating the powder soft, brilliant white sands that encircle the island. The island's size is quite good, not too big and not too small. Beaches are clean and great, especially on the northern part with good swimming options. On the other side are some areas with rocks and a little more narrow beach especially opposite Delux Beach Pool Suites. A collection of delectable dishes from across the world are served in four restaurants and two bars. An epicurean's haven, these dining places offering the perfect environment for everyone to relax, unwind and indulge in style. Enjoy handpicked fresh organic ingredients from the resort's farm and sample flavours from Europe to Asia as you soak up the tranquil atmosphere with a table under the stars or dine amidst elegant, locally-inspired interiors. With delicious imports from around the world, the restaurants are so rich and subtle in their own hideaways. The food is really fresh and tasty plus an additional two times a week there are bbq buffet on the beach. The lovely chefs are putting together a daily dinner menu for the whole holiday. All you have to do is let them know which restaurant you want to dine at on any particular evening and the chefs instruct that restaurant on the meal choice, going through the absolute fine detail to ensure a perfect meal. Amaany is the main restaurant for breakfast and dinner with luxurious live cooking enhanced with a la carte menu choices to experience flavor, comforting and nourishing. A tranquil, bright and airy dining plce to start the day, it’s a lovely setting facing the sea (the south), with indoor and outdoor seating and if you like air conditioning, you can sit in the air-conditioned area, where all the food is displayed on the buffet. Featuring the freshest produce presented proudly and innovatively, Amaany has an amazing selection, including a Gluten-free area. Live cooking for your eggs and pancakes and waffles. Also the choice of cold cuts, bread, cheese, jams, warm dishes, mashuni (2 types) and juices are good. Amanny is far more stylish than your typical buffet restaurant. Breakfast is extensive – beyond bakery goodies and overnight oats, there are at least 10 different food stations including an egg station cooked anyway you like, from the basic omelette, to a benedict lobster . If that's not enough, stop at the table full of exotic fruits with its own chef, freshly cut into bitesize pieces for your convenience. And of course Vakkaru produces own glass-bottled island water. Only that prosecco-thing, same as everywhere. Also Amaany comes with another great location. Two times per week there is a themed buffet on the beach. Expext a lots BBQ with a wide selection of seafood and meat and live music. Whether a wake-up breakfast or an inspired evening affair, a showcase focused on memorable and global trend, health and wellness, super foods and dietary preferences, the staff is always attentive and exceptional at Amaya restaurant. Facing the sunset, decked out and open-air, Vakku is a fine dining restaurant that offers the finest cuts of meat, fresh seafood grill and fine wines while. Open for lunch and dinner, Vakku grill is perhaps the guest's favourite outlet, right on the beach. Bespoke sophistication, time to enjoy and luxurious destination bliss б voguish beach luxury grill hosting the best, simply grilled fare – island style. The giant prawns are to recommended. Overlooks the garden, Isoletta are focusing on contemporary Italian dishes but with other international cuisines also on offer, you can take a table and enjoyed the food outside by the pool area with the ocean views. The taste and quality of the food is excellence and so is the attention to detail in every dish. A poolside pizza, relaxed and alive with style, serving contemporary classic lunch and dinner, complete with communal dining table, lounging space and 2 seaters a la Milano.The service at Isoletta is particularly praise worthy and so is the art of the very able and accommodating chef. She manage to create and customize any dish you requested in no time and without any compromise on taste . A chef like that makes the whole experience of a holiday go that extra mile! Set in the garden, our favorite is ONU (Asian cuisine), the evening ambience and interior is noteworthy. We had dinner here on the 2nd night and I had some mouth watering Vietnamese food, the red duck curry was so good. An elegant bamboo fashioned culinary theatre within a tropical plantation offering a dining experience inside and out, seasoned with tropical ambiance, idolising the finest from the island's organic farm. A designed space with showcase kitchen, counter dining, garden pavilions and lounge areas. The ‘must try' are Tom Yum Geung soup and lobster yellow curry. 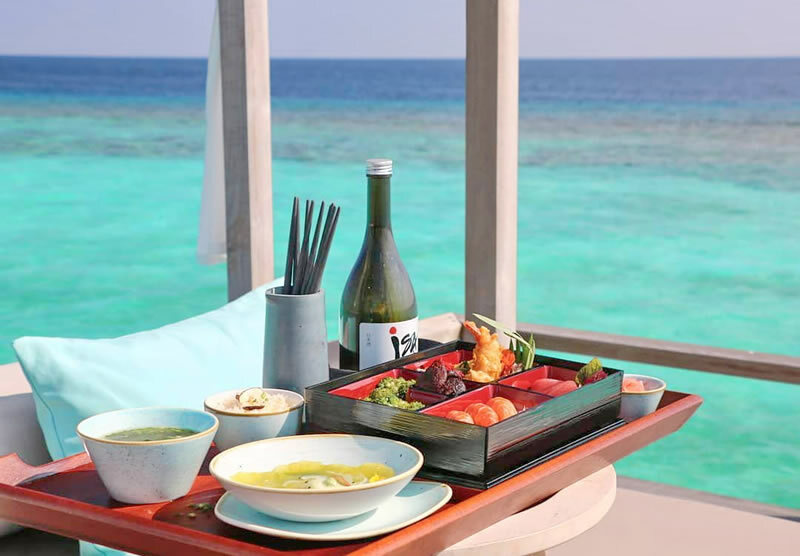 Favorite with the most guets, ‘adult only' Lagoon bar is just perfect for romantic sunset lovers where seats provide a remarkably blue view, serving sophisticated sushi and sashimi. Open till midnight, the bar is an ocean serene oasis that's perfect to relax, chill, sip and cherish a bucket list sunset. 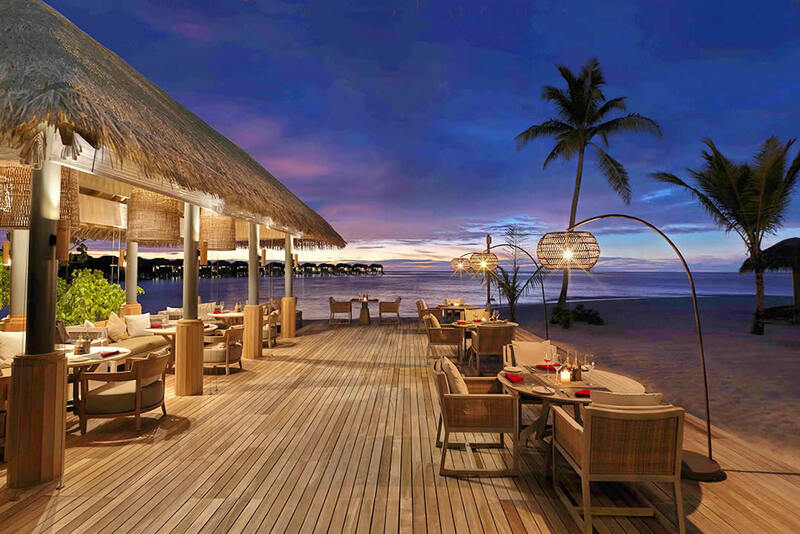 A stylish overwater venue with lounging space assured to allure timeless memories. Celebrate the ocean surrounded by premium collections and crisp wines, 360 view and numerous shades of turquoise. Hosting modern classic beach club exclusivity, Cabana is an alfresco poolside lounge, offer refreshing drinks in a stunning tropical atmosphere. Designed for classic comfort, creative inspiration and a relaxed ambiance it's a comfy enduring space to relax and unwind, enjoy a laid back afternoon or pre-dinner drink, the place to be after a day of island activities. If you're feeling really adventurous, you can take a peek in the prestigious Vakkaru Reserve wine cellar with a collection from all over the world. Limited edition wine, cheese and charcuterie experiences, a selection for aficionados and for the curious, Vakkaru Reserve is crafted for sensory celebration. An impressive degustation setting, layered for choice and presenting taste, aroma, nose and truth. Sommelier hosted indulgence, skillfully balancing a premium around the world wine journey. Vakkaru offers also a luxury destination dining, from the serenity of your villa to idyllic settings around the island, including sandbank events tailored to your request. Wine and Dine (Dinner including beverages with dinner) WINE & DINE includes dinner as above plus all beverages during dinner include selected wines by the glass including house pour sparkling wine, standard house pour spirits, beers, soft drinks, juices, tea & coffee, water. Children's pricing includes soft drinks, juices, water, milkshakes in all restaurants during dinner with parents for children 12 to under 15 years. Children under 12 years, a supplement of $25 applies for free flow drinks during dinner. Please note the price is total and not a supplement to full board. Premium spirits, champagne and bottled wine are available at menu pricing. Indulgence Package (Lunch and Dinner including beverages throughout the day) INDULGENCE includes lunch and dinner as stated above, plus throughout the day guests can enjoy selected wines by the glass including house pour sparkling wine, standard house pour spirits, beers, soft drinks, juices, tea & coffee, water in the Lagoon Bar, Pool Bar, all restaurants. Children's pricing includes soft drinks, juices, water, milkshakes in Lagoon Bar, Pool Bar, all restaurants for children 12 to under 15 years. Children under 12 years, a supplement of $52 applies for free flow drinks throughout the day. Please note the price is total and not a supplement to half board. Beverages in Lagoon Bar and Pool Bar from 11:00am - 11:00pm dependant on opening times. Premium spirits, champagne and bottled wine are available at menu pricing. 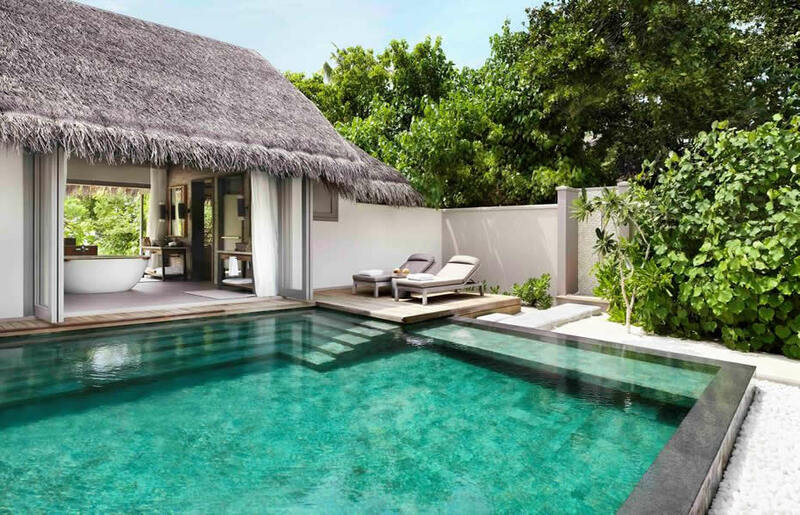 Drawing on rich family traditions and values, Vakkaru Maldives is an ideal time and place for families to reconnect in a luxurious tropical island setting. Guests can choose various family-friendly villa categories including Beach Family Pool Villa, Two Bedroom Beach Villa, Lagoon Villa, Over Water Pool Suite and Four Bedroom Residence. To create an enjoyable yet convenient experience, complimentary baby bath amenities are provided for children below two years of age while baby cot, baby stroller, bottle sterilizer and warmer, as well as monitor devices, are also made available upon request. 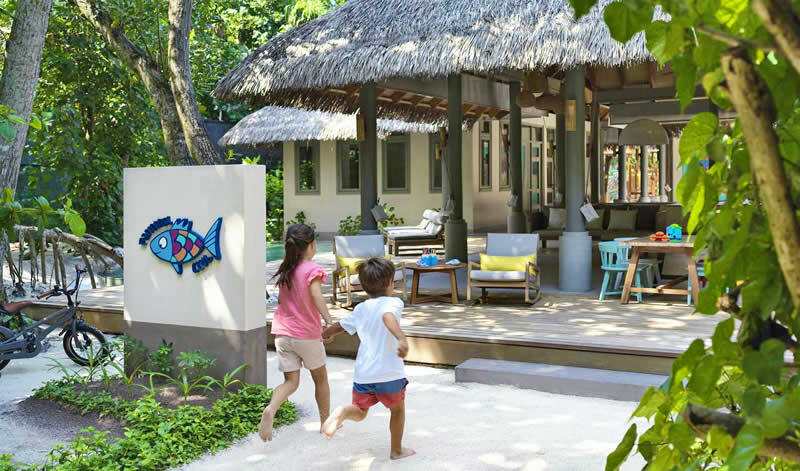 Cultivated by nature at a breath-taking enclave within Baa Atoll, The Parrotfish is an extensive kids' club facilities offer tailored activities for children aged between 3 and 12 years and attentive service, for families who seek enriched timeless memories. Indoor play and activity areas are designed to capture the imagination and the outdoor exploration space features a children's pool. Children's dining options and cookery classes are also available. Your kids'll spend most of their days there - voluntary! The kids club is amazing, it's very well organized and had all-day activities from talent shows to pizza making. The toys and games are high-quality. Club's team work tirelessly to make sure kids were happy and in turn so were the parents ! After all, happy kids are the key to a good, fulfilling holiday! The activities for all ages range from excursions on open waters for a local island visit, dolphin spotting, sunset cruise or traditional Maldivian pole fishing to endless activities within amazing spaces on the resort allowing couples and families to connect with each other and the environment around them. The resort also features Merana Spa, allowing guests to revel in indulgent treatments in an overwater setting while weddings, vow renewals and other events are held in gorgeous locations around the island. Scuba diving facilities at Splash, an accredited PADI Silversands dive centre which also facilitates water sports activities, cruises and fishing. Vakkaru Maldives dive centre offers scuba diving programmes for non-certified divers and a fun diving tips for certified. The resort also offers over water gym and recreational activities such as pool, tennis, foosball, games and for bibliophiles, a reading nook. The watersports facilities are quality and they have everything from Paddle Boards, windsurfs and Jetskis. 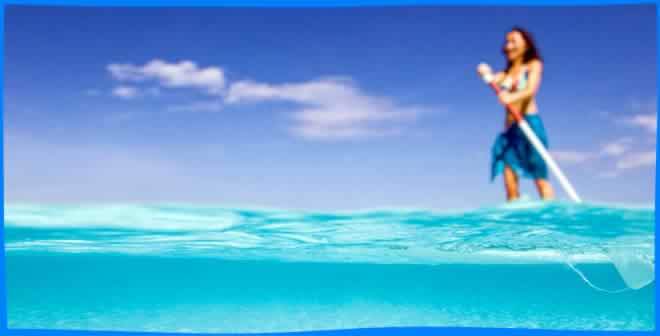 Kayaks, windsurfing, wakeboarding, kite surfing and snorkelling equipment are free of charge. Not to be missed should the morning dolphin cruise. Guests can explore the underwater marvels on the magnificent house reef or venture further out to see the whale sharks and manta ray at Hanifaru Bay. Mostly guests are liked snorkelling, especially around the end of the jetty facing south-west. The house reef is one of the best and despite the fact that the coral is dead you can see sharks, rays ans turtles. In the shallows of lagoon you can spot sting rays and even witnessed baby black tip sharks which is an experience in itself! Back the land there are two all-weather floodlit tennis courts and a badminton court on the sunny island. Featuring four couple's treatment rooms with ocean views and eight single treatment rooms, the over-water luxury Merana Spa is more than special. 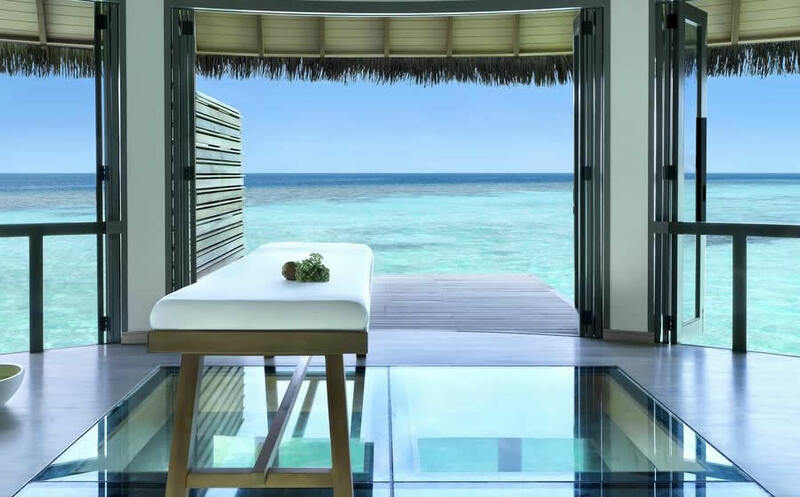 With many facial treatments and relaxing massages on offer, the room themselves are overwhelming completed with glass floors to watch the fish swim by while the massage therapists work their magic. The spa menu offers: Facial & Skin Care, Massage, Body Wrap and Body Scrub, Manicure & Pedicure and Yoga sessions. To finish, you have a fresh ginger drink to rehydrate and enjoyed the outdoor jacuzzi and plunge pool. Upstairs is a fully-kitted hairdressers and nail salon, spa boutique and a number of other therapy rooms across the boardwalk to really pamper yourself. Our advise-go to visit the spa, and sit in the hot and cold pool at end of the jetty - it is great and for free. Also located close by Vakkaru, Thulhaadhoo is well known for being the only island where Maldivians are still practicing traditional ways to create lacquer artefacts, which was historically used to supply the country's noble families. 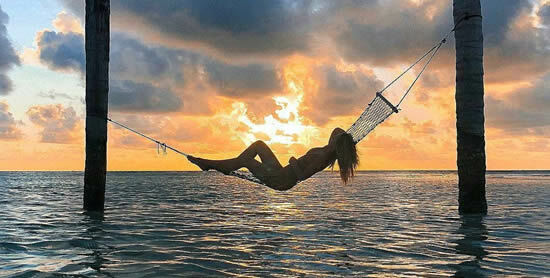 Vakkaru Maldives receives excellent reviews from almost every guest. The size and luxury of the villas and suites receive high marks, as are the butler and the staff servicce as a whole. Food is rated highly for quality and variety that is typical for luxury non all-inclusive resorts. Spa, snorkeling and diving is also a great experience with many guests raving about swimming with manta rays and whale sharks in Hanifaru Bay, and marine life around the resort. With such a friendly staff, spacious and luxurious accommodation, the natural feel of the island, cosy and delicious restaurants that meet different tastes, an extremely welcoming kids club, and an ongoing high service-level, you'll be more than happy that chose this resort. World-class cuisine to the highest standards, and very varied. Lobster, fresh fish or Kobe beef on the grill, exquisite Vietnamese and Asian cooking, sushi and sashimi beyond any expectations, plus a worldwide wine selection. Receiving unexpected canapés on a daily basis to your room…just because! We can only high recommend this resort to anybody looking for an extraordinary experience. Manta Snorkeling leaves you unforgettable memories. 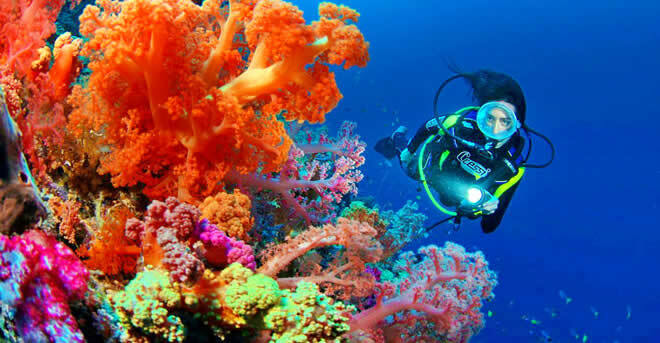 The house reef is of an unusual form and snorkeling enthusiasts might find the “blue holes” worth exploration.